Wonderful visit to the Rain Centre to learn about rainwater harvesting. The Upper Elementary visited the Rain Centre as a part of the unit on Water in Small Science. Children learned about the water crisis looming ahead and how rainwater harvesting is a must. They not only saw models of buildings implementing rainwater harvesting, but were taken around the Rain Centre to see all the modifications made to the building to enable it. 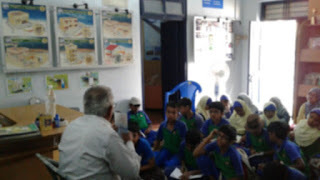 Mr. Sekar Raghavan , a superb teacher who manages to engage and reach children, gave detailed explanations. A direct result - the children are digging a well in school with the idea to do rainwater harvesting here itself. Not sure how far it will go, but its a testimony to the action orientation of the children - who see a problem and find ways to solve it. 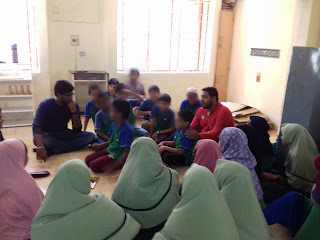 Thank you Mr. Raghavan for giving your time to teach our children.